Wilmington, DE- YMCA of Delaware’s Water Wise program was chosen as one of 85 Make a Splash programs in the country to receive grant money from the USA Swimming Foundation. Thanks to a $9,600 grant, designated YMCA of Delaware locations can continue to provide free or reduced cost swim lessons. 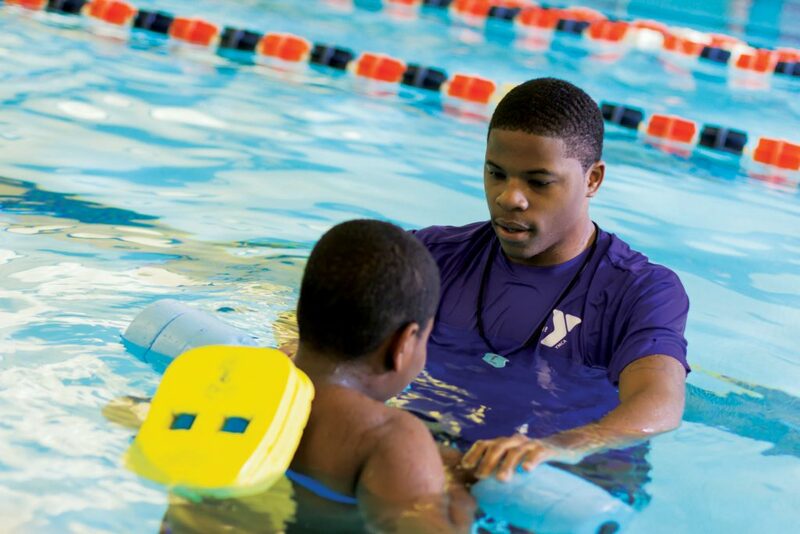 “This grant embodies the YMCA of Delaware’s commitment to social responsibility because we strongly believe that all children should have the opportunity to learn to swim and be safe in the water,” said the Y’s Senior Director of Aquatics, Deric Clinton. Since it began, the YMCA of Delaware Water Wise program has provided more than 10,000 kids the opportunity to learn to swim for free. In 2018, 1,685 Delaware children participated in the Water Wise program statewide. To date, 7.5 million children have received the lifesaving gift of swim lessons through the USA Swimming Foundation Make a Splash Local Partner network. This network is comprised of 1,000 qualified lesson providers like the YMCA of Delaware. To learn more about the foundation, visit www.usaswimmingfoundation.org/makeasplash. This summer, the YMCA of Delaware Swim Teams who are USA Swimming Club Members, will host a Water Safety Day at their local YMCA. These teams include the Brandywine Barracudas, Dover Dolphins, Sussex Tsunamis and Western Wahoos. For more information about the YMCA of Delaware’s Water Wise program and events contact Deric Clinton at dclinton@ymcade.org.